Anyone know who to contact for an Oppo sticker? So, it’s taken a few days for it to happen but my new (to me) 2000 EX Coupe is finally here. So, the Civic was as advertised. A rarity in Criagslist land. Seller worked for a small used car lot, and was selling his personal car. I posted a few pics on my previous VIN check post, but wanted some opinions. So here is the car in question. I had a previous VIN request post awhile back, and apparently the seller sent the wrong info. Long story short, that WASN’T the car for me. Can any OPPO help out a recently un-employed guy with a VIN check? First RS I have seen in Jersey. AND, it has the ULTRA RARE V8 option!! I live in a gated community in Northern NJ (I rent haha), and I see some interesting cars on the regular. This beauty was in front of me last Friday after work. How in the heck does your car get like this? 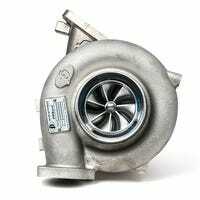 Awful lot of work for not much HP compared to a cheap turbo set-up.